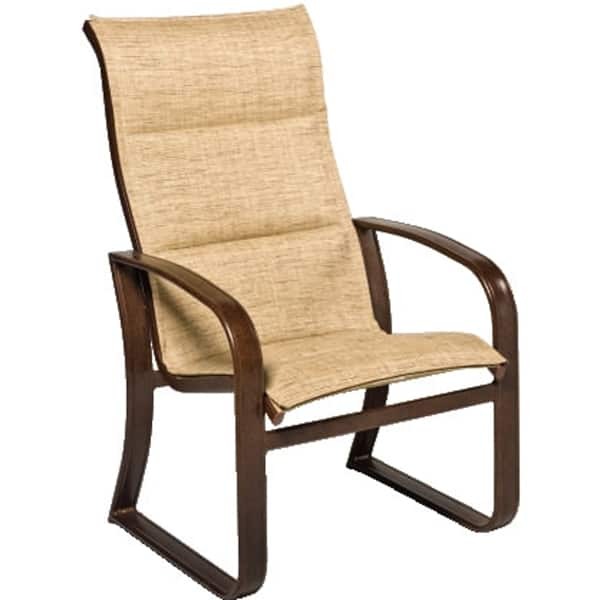 The Cayman Islands are rumored to be a good place to stash your money, but no one will want to hide the Cayman Isle Sling Patio Dining Collection away. 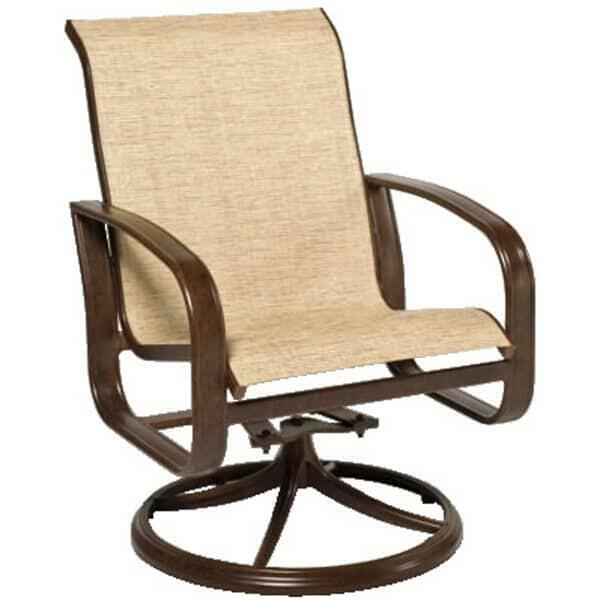 This simple yet beautifully designed patio furniture group is the perfect complement to any décor. 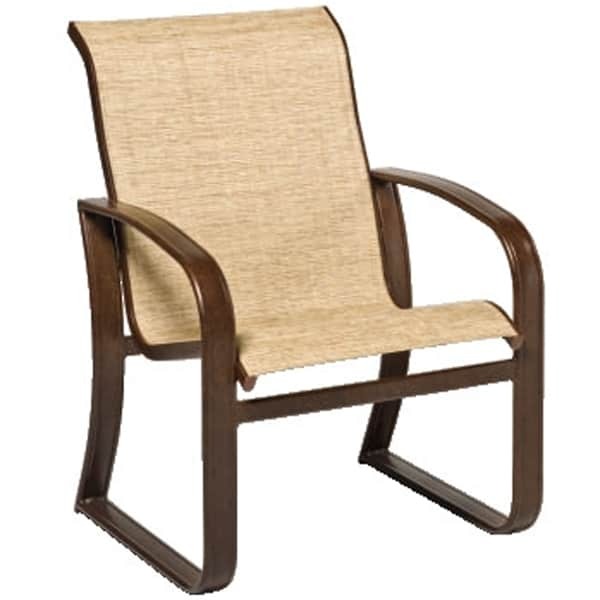 Woodard’s premium extruded aluminum and impervious sling fabric create comfortable, budget-friendly, all-weather patio furniture that is a perfect poolside addition. 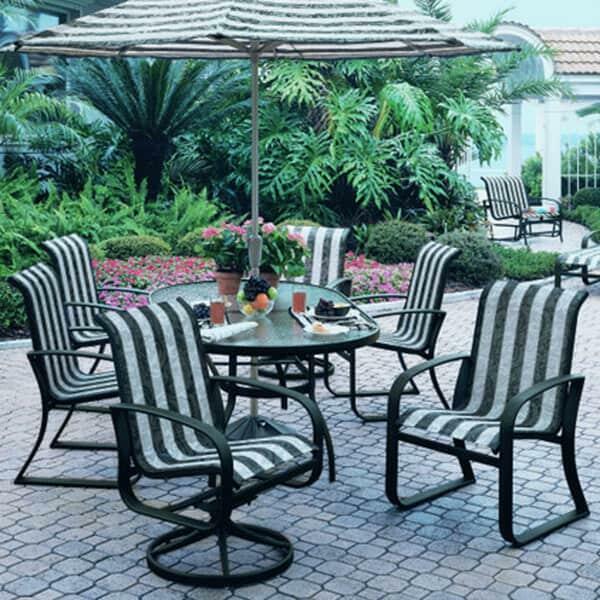 Woodard finishes this fabulous collection with an electrostatically applied powder coating that resists chipping and peeling. 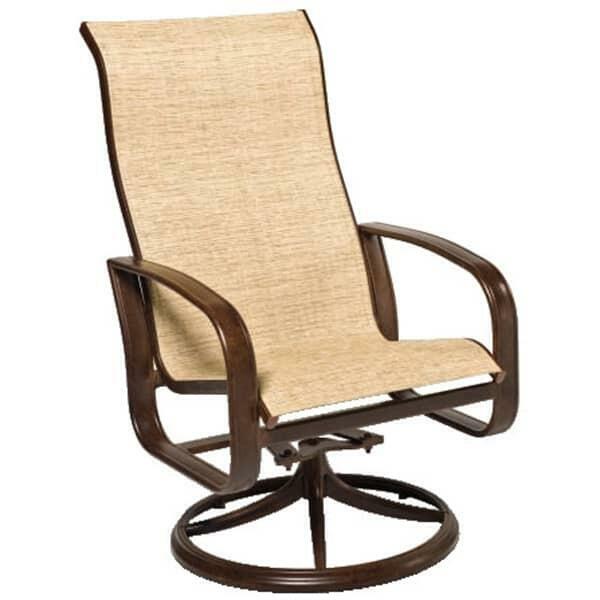 The Cayman dining chair, with its sled base, is also designed to sit evenly on decks and uneven surfaces. 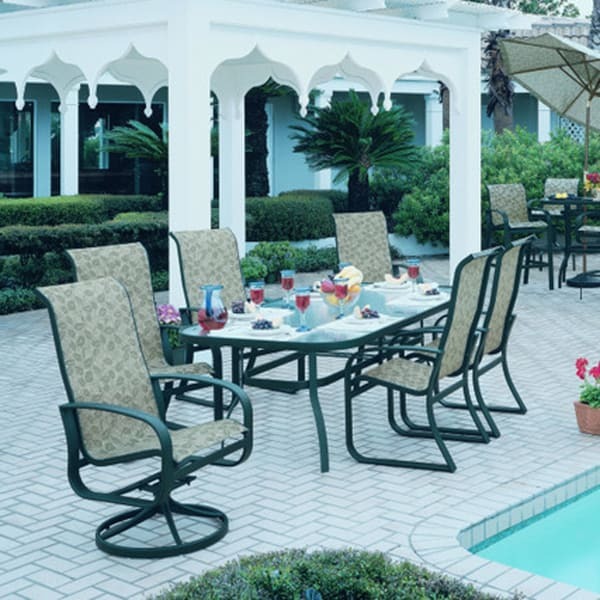 Resistant to rain, sun, chlorine, and virtually maintenance free, there is nothing about the Cayman Collection that isn’t user friendly. 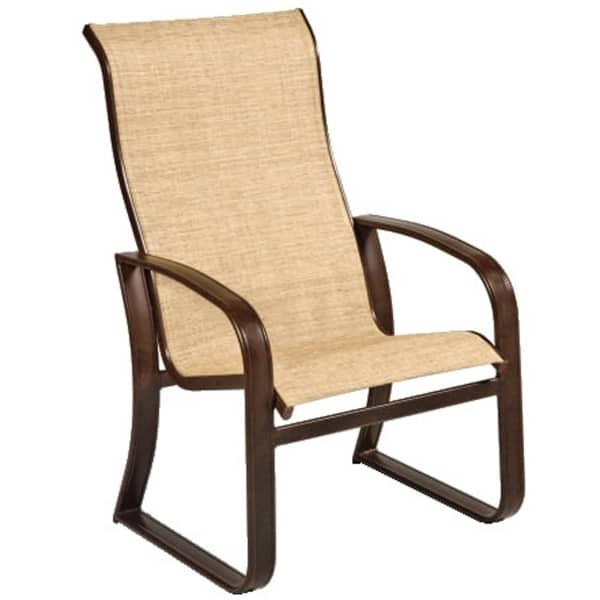 Relax and enjoy the Cayman Isle Sling Patio Dining Set this season! 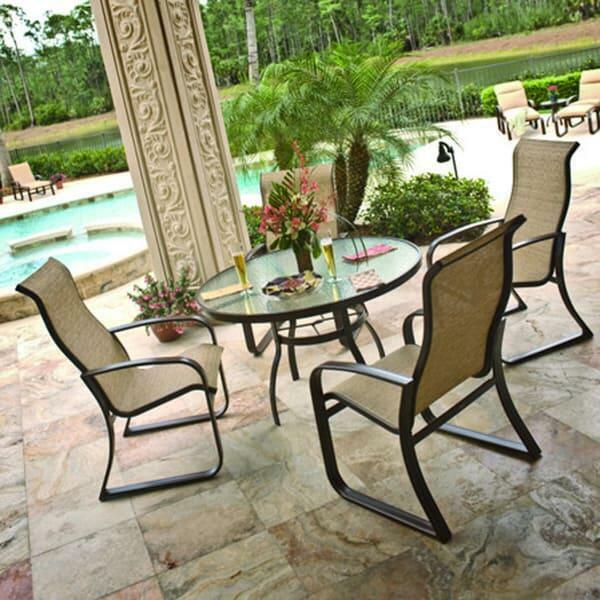 Featured Patio Set Includes: Four (4) High Back Dining Arm Chairs & One (1) 48" Round Obscure Glass Dining Table. W 26.1" x D 29.5" x H 35" LBS 9 SEAT HEIGHT 17.3"
W 25.9" x D 30" x H 35.8" LBS 14 SEAT HEIGHT 17.9"
W 26.1" x D 31.5" x H 41.5" LBS 10 SEAT HEIGHT 17.5"
W 26.1" x D 31.1" x H 42.1" LBS 14 SEAT HEIGHT 17.8"
W 48" x D 48" x H 28"
W 42" x D 74" x H 28"
HB Dining Arm Chair W26.1"xD31.5"xH41.5"